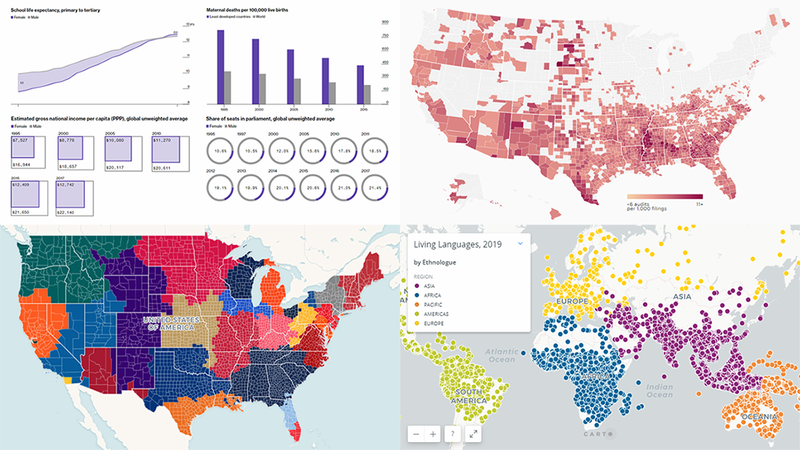 By looking at the best data visualization practices, not only do you have fun and learn something interesting about life and the world around us, but you can also pull together ideas that will help you take your charting skills to the next level. 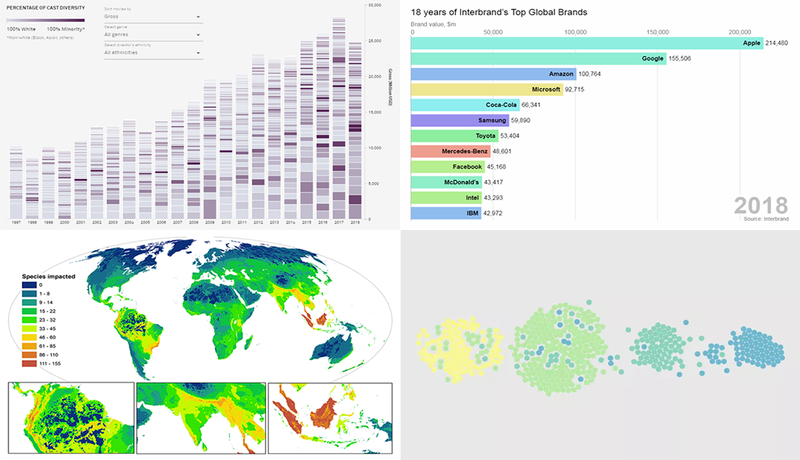 DataViz Weekly on the AnyChart blog is the right place to get such inspiration as that’s where we share with you some of the most interesting charts and graphics-based projects that have recently come to our attention. 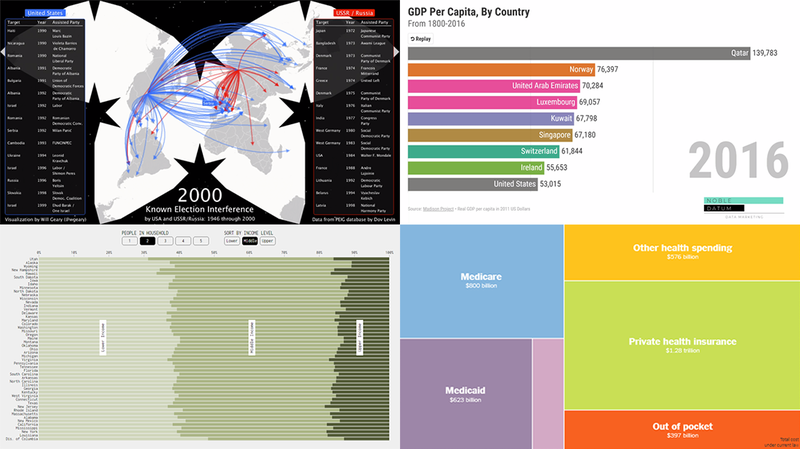 Data visualization techniques help us people analyze and communicate data in a much more convenient and effective manner than raw digits or spreadsheets. 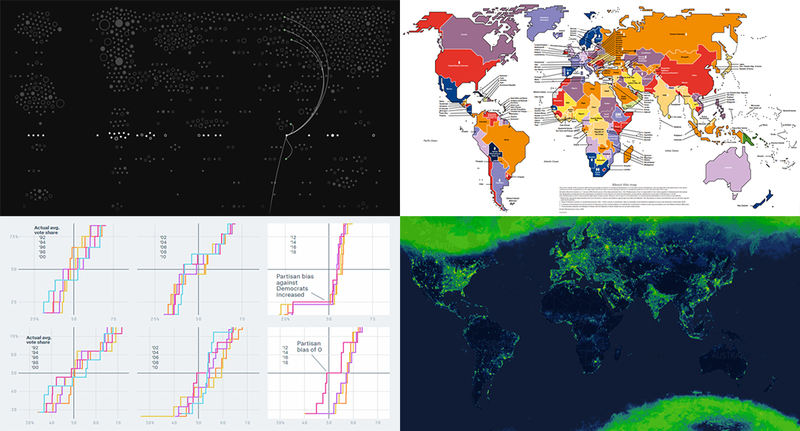 We’ve been proving this for years by publishing DataViz Weekly, our regular blog feature in which we show you some of the best new data graphics-based projects from all over the web. 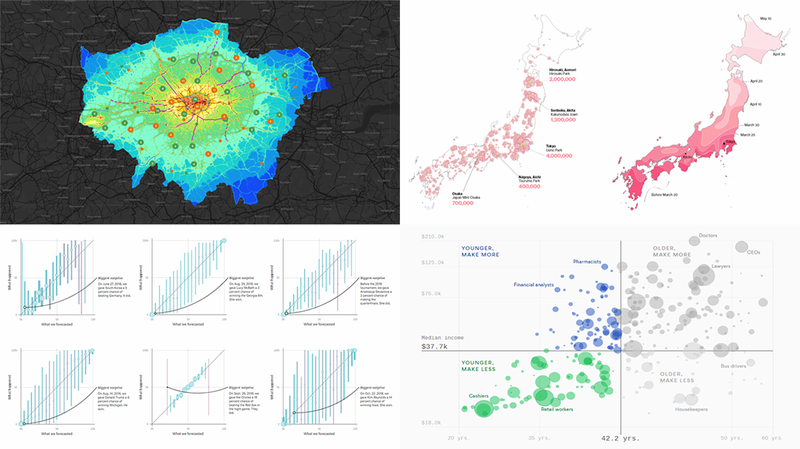 Look at these nice examples of data visualization in action. household spending in the United States, by income group. 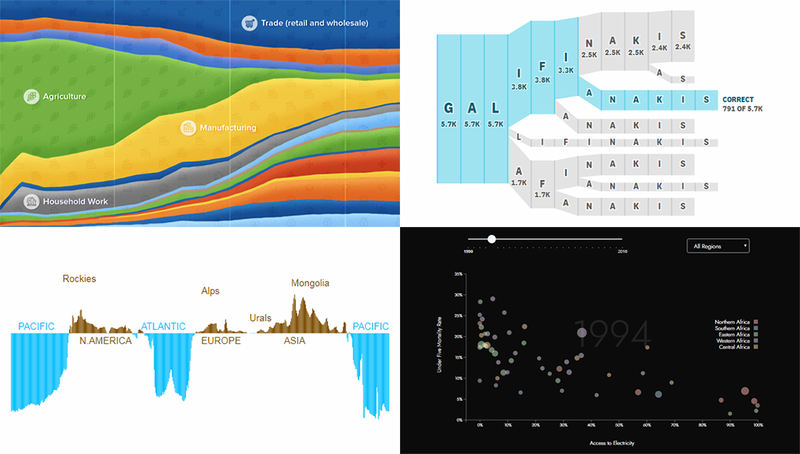 It’s Friday, and here’s another selection of cool chart visualization projects we’ve come across these days. Look at them for fun and inspiration! prosperity in the United States, by county. Hey everyone! 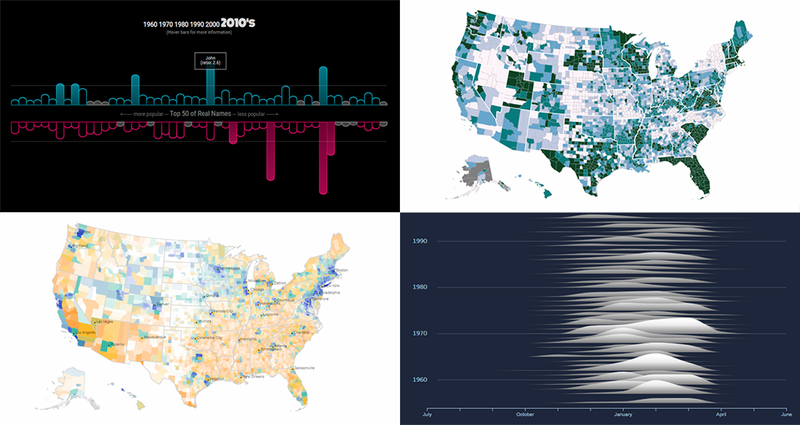 Check out new great data visualization examples we’ve recently found around the web! 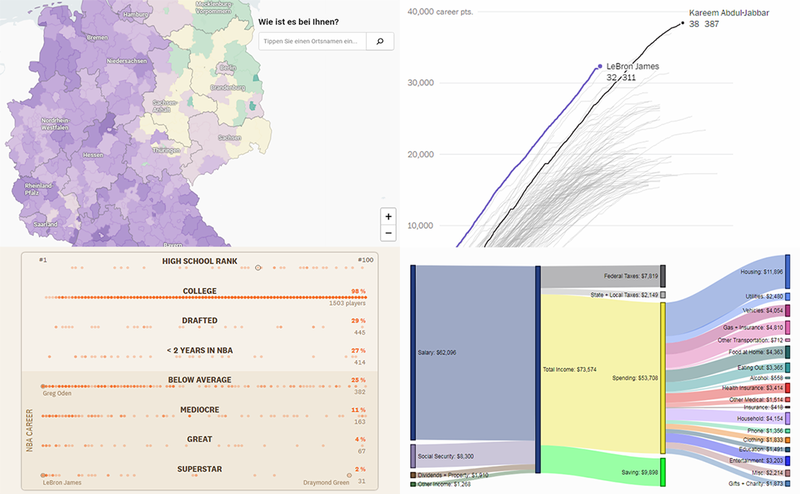 The projects we feature today on DataViz Weekly are about Earth’s elevation and ocean depth, renewable energy in Africa, misspellings of celebrity names, and history of employment in the United States. rise and fall of coal production in the United Kingdom. 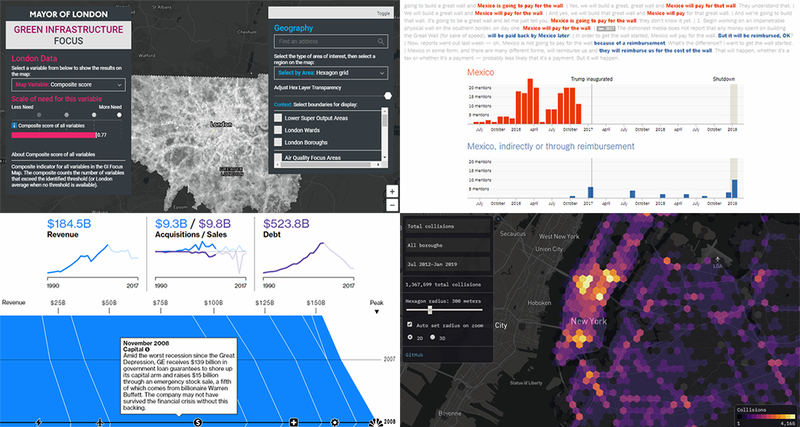 The new cool interesting data visualization projects we praise today on DataViz Weekly are helpful in analyzing Trump speech regarding the U.S.-Mexico wall, green infrastructure in London, rise and downfall of General Electrics, and traffic collisions in New York City. 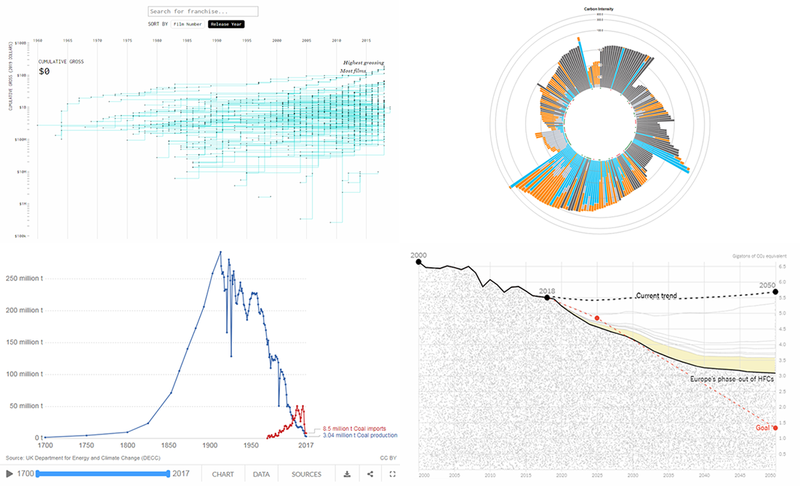 Take a quick look.